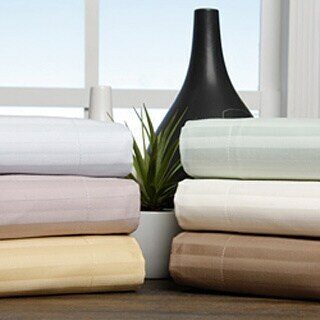 These superior pillow shams are woven from 100-percent cotton yarns for a luxurious, silky-smooth touch with a crisp 650 thread count ideal for everyday use. The set is available in multiple colors and make a perfect bedding collection addition. I consistently use four king size pillows on my king size bed. Since most "sets" only include two pillow cases I am constantly having to find two additional cases to match (or blend with) the sheet sets. These will work very well. Good price, decent material, reasonable texture, but not particularly nice. Unfortunately I found the shape and pattern to not be aesthetically pleasing so i got rid of them. I have the matching sheet set.